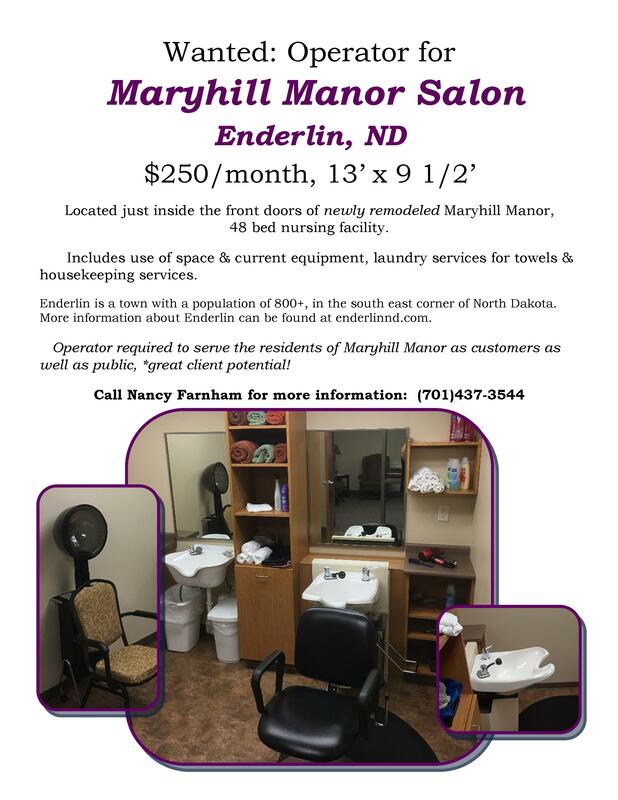 If interested you can apply online at www.maryhillmanor.net or call 701-437-3544 or stop by Maryhill to pick up an application. We are seeking a positive, child loving individual to join our new and growing daycare! Looking for a bright, enthusiastic, mature person for a growing, Holistic Chiropractic Healthcare Practice. Send Resume to : 207 Broadway St., Enderlin, ND 58207.